I met Jamie Fraser when I was 19 years old. He was tall, redheaded, and, at our first meeting at least, a virgin. I fell in love hard, fast, and completely. He knew how to ride a horse, wield a sword, and stitch a wound. He was, in fact, the perfect man. At 29 Emma Sheridan's life is a disaster, and she's tired of waiting for the perfect boyfriend to step from the pages of her favorite book. There's only one place to look, and it means selling everything and leaving her world behind. With the aid of an unexpected collection of allies, can Emma face down a naked fishmonger, a randy gnome, a perfidious thief, and even her own abdominal muscles on the journey to find her Fraser? Strangely engaging although quite corny story about an American Outlander fan visiting Scotland; a mix of travel blog and diary style we accompany Emma in her search of her modern Jamie Fraser. 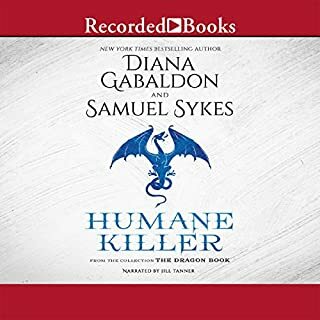 Since the narrator is "Emma" there are some truly terrible Scots accents, not to mention the English and Irish accents of the characters she meets - made me cringe and laugh out loud. An Absolute Scream - treat yourself! I concur with other reviews except they miss the obvious opportunity to have a great laugh. we played this in the car on a road trip and split our sides laughing at the attempts to do accents. truly terrible but we cried with laughter. listening to this book being read turned out to be better than listening to a comedy show. Go ahead, treat yourself and a friend - it is the best medicine for depression or a boring road trip. You will pee your pants. Not all Jacks are Black! This is a nice little read as it follows a young lady seeking her own adventure in Scotland. It reminded me that we could all seek and have our own adventures. Outlander fans will relate to Emma’s quest. The narrator is goo but the accents are horrible, she would have been better to peak normally. Nice ending, I was hanging out for the connection early on. I was so distracted by this bad narration, It ruined the whole story for me. Her poor attempts at Scottish and Irish accent drove me insane. Loved the story but the accent I can't get past the first few chapters!! A cute romantic caper in the highlands, funky characters that are full of surprises, and a pretty good story. I liked Emma a lot and found myself relating to her more than I expected, for such a light hearted romp. It’s not my usual kind of thing, but I’m glad I gave it a listen. Particularly for the narrator Romy Nordlinger, who really shines in this one. You can tell she’s having fun with the ironic romantic ups and downs, and a host of diverse characters. She did a great job. Entertaining romantic adventure for an Outlander fan, but you don’t have to be. Heroine is charmingly flawed, full of insecurities but full of spirit. Some surprise twists. As cute as this is in a way, this could happen to anyone, and that makes it all the more charming. The narrator really hit the mark on being sassy and vulnerable at the same time, and got the quirky feel of the writing. Having been to Scotland, I can say that the accents have just the right mix of authenticity and being able to understand them. Great mix of voices and characters. I didn’t really believe the plot as much as I would have liked, but overall this was very enjoyable, and I liked the narrator and all the characters. The main character was very funny, good dry delivery. This book is just plain fun. I love the character of Emma, and her looking to find her own Fraser. It’s both funny and touching and makes me want to go to Scotland. I particularly liked the narrator, Romy, who has just the right mix of sensitivity and humor, she’s one of my favorites. If anybody’s looking for Outlander with this, that’s not what it is. But I thought the ride was thoroughly enjoyable. Fun romp in search of love. Go Emma! I was cheering Emma on, and laughed out loud quite a few times at some of the situations – not to mention her insecurities. It’s never too late to chase your dream, right? The narrator did a fine wee job of all those accents, which must have been tough. She really sank her teeth into some pretty out there characters, but most of all I appreciated the likable tone she has, for such a fun book. Some books are too dry to listen to when they should be fun, but I recommend this. It's a good story, but most of all just a fun romp through the highlands in search of love. Why the hell not? 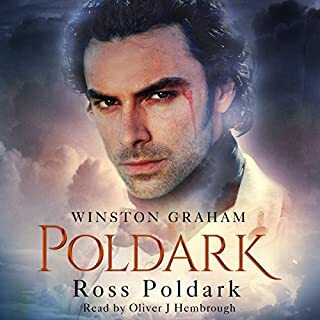 I was looking forward to listening to this book, after having finished the big eight narrated by the wonderful Davina Porter. Lovers of the Outlander series might be drawn to this book, however this book lacks any sophistication in writing. It reads as something a high school student has written; it's simplistic, predictable and weak. It's not even particularly romantic. Or believable. 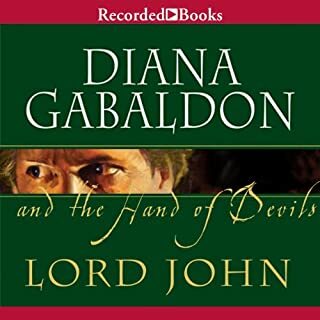 The author of this book alludes to Diana Gabaldon throughout, calling her, "herself" and revering her writing. And yet KC Dyer, doesn't even come close, making me wonder if legal teams were involved in blocking the use of "herself's" name. And that's just the story. The narrator's voice is annoying, and her accents are laughable. They are so not even close to Scots. I gave it 2 stars as I was able to listen to it all the way to then end, and there have been other books that I haven't. 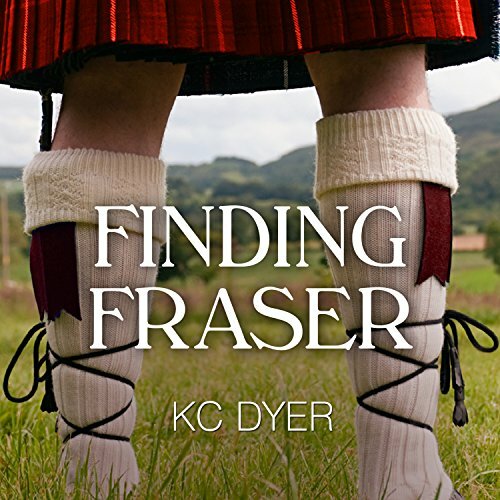 What disappointed you about Finding Fraser? 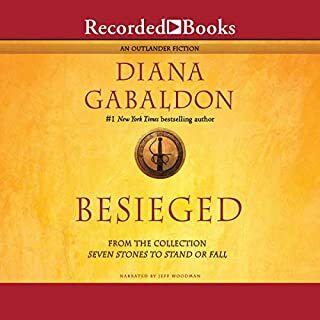 If you have not read Outlander by Diana Gabaldon, ( or at least watched the STARZ show) don't even bother buying this book. It's a really cute story, but it requires a basic knowledge of Book One. That being said, I enjoyed following flawed Emma on her quest to find her Jaime. Sometimes I thought her choices reflected more of an adolescent maturity than that of a 29 year old, and that made me want to pull my hair out! I loved all the different Men she came across and how she sees them through a Jaime Fraser filter--for good or for ill. I almost gave this a 3 star rating because the accents in the narration were so bad. During one passage she has Jack's character sounding a blend of Ireland and China. ( he's a Scot). I enjoyed the book. I felt, at times the plot was predictable but that did not take anything away from my enjoyment of the book. The narrator was good too. No Davina Porter when it comes to scots accents but still entertaining. At times I felt the accent almost sounded German than Scots. Still, all in all I enjoyed it and glad I purchased it. Didnt like the narration. An annoying American putting on awful Scottish accents made it painful to listen to at points. I enjoyed the story though. I would rather have read it than listen to the narration. It's fine, worth listening to if you understand the Outlander fandom. However I felt the main character spent too long zinging about in America before getting to Scotland. The number of references to the main character not having enough money got tiresome. Fair enough to run out half way through and after being robbed but she is bleeting about cash the whole way thru'. Would you be willing to try another book from KC Dyer? Why or why not? I guard my credits jealously so no, but I would READ another. However, I stuck with it,which is a compliment given the woeful narration. Possibly, as films set in Scotland tend to have a quirky charm. The book may be fine but the accents are awful! I don't think I can listen to anymore of the audiobook. The main protagonist is setting off to go to Scotland and before she's even left America she's encountered a Scot whose accent is such a horrifying melange of American, Irish, faint Scot and a good smattering of Russian that I'm too scared to go to Scotland with her! I may continue reading it as an ebook but I'm not sure I can be bothered.